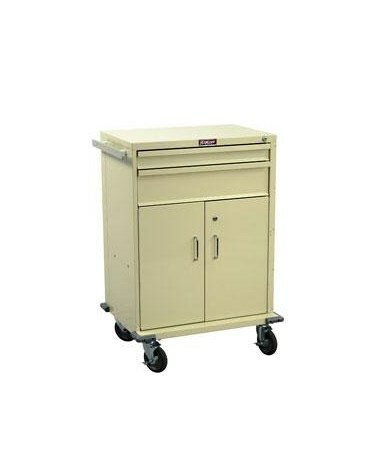 Harloff's V-Series Two Drawer Treatment Cart with Storage Compartment offers the high level of quality Harloff is known for at a value price. Perfect for treatment, procedure and isolation applications, it features steel construction and a durable, hard-baked powder coat finish available in 16 colors. The V-Series prioritizes safety and stability with its bumper frame that features extended front casters and four corner bumpers. The aluminum side rail/push handle gives you total control over the cart and the key lock comes with four keys. Every one of the 5" ball-bearing casters are full swivel, and two of them offer braking functionality. 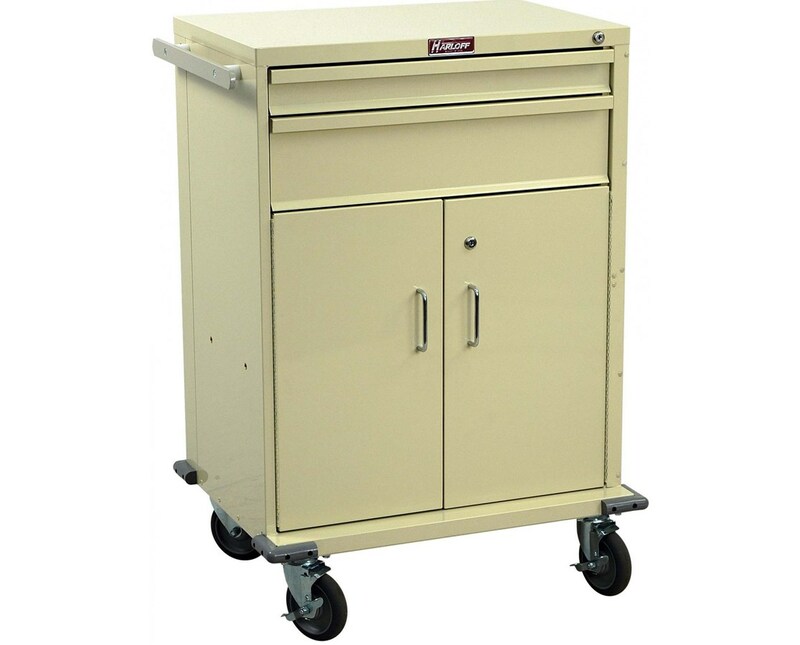 This cart's biggest feature is the 21" storage compartment which uses locking doors and has an adjustable shelf for greater versatility. 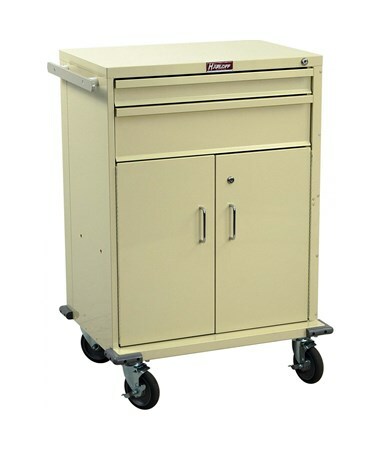 It also provides 1 3" drawer and 1 6" drawer, both operating on ball bearing full extension slides for smooth, reliable use. This latex-free cart arrives fully assembled. Choose your color (View Chart) from the drop down menu above and order online direct by clicking "add to cart!" Number and Size of Drawers (1) 3", (1) 6"